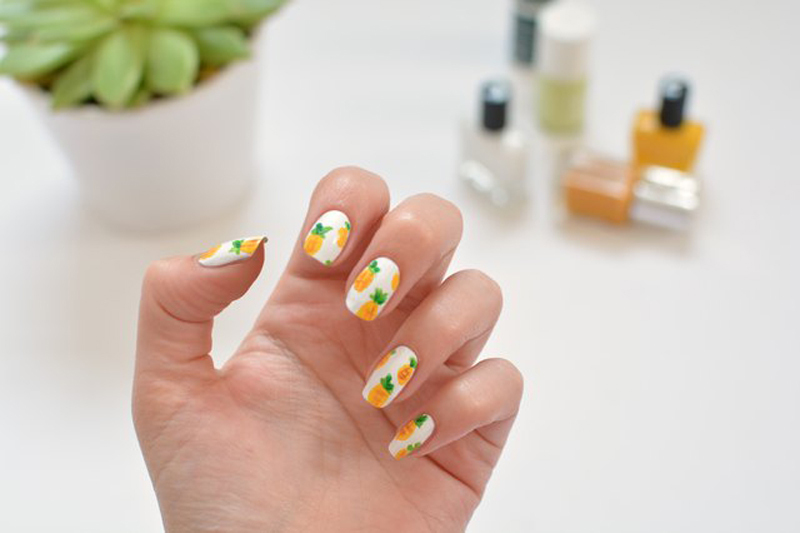 Summer is the perfect time to indulge in tropical nail art — it's the perfect theme for vacations, holidays and special occasions! Novelty designs are great fun to paint and never fail to draw attention. 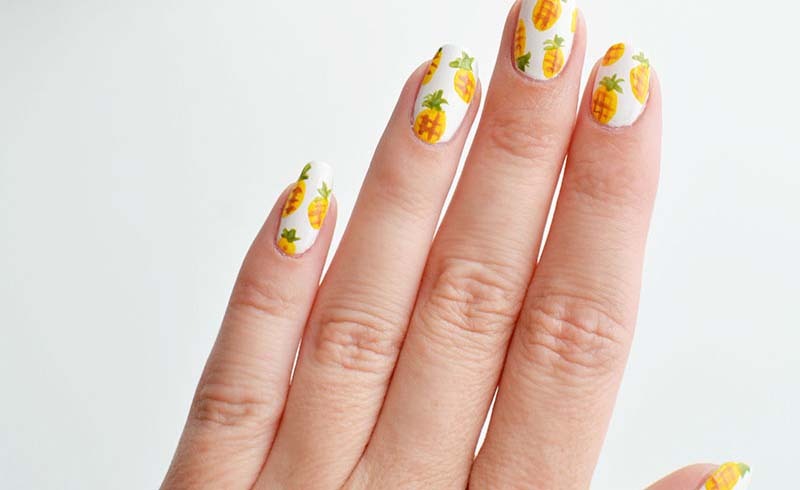 This pineapple design is on trend and easier than you may imagine to paint. I'll show you how to create this look in a few easy steps! Paint a base coat. I've opted to use white here, but pastels are a good choice too! Let dry. 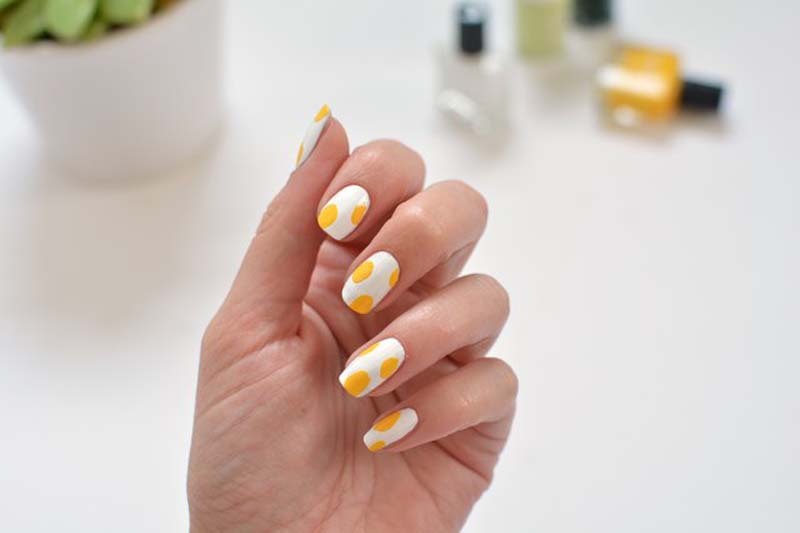 Take a yellow polish and paint small yellow ovals onto each nail. This will be the pineapple body. 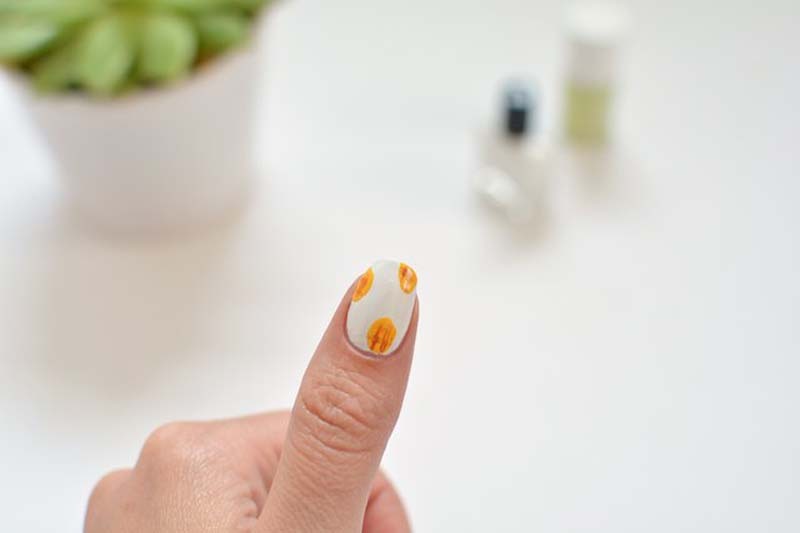 Dip a fine brush into brown nail polish and stroke lines in a crosshatch pattern over the pineapple body. Repeat on all nails, then clean the brush with nail polish remover. 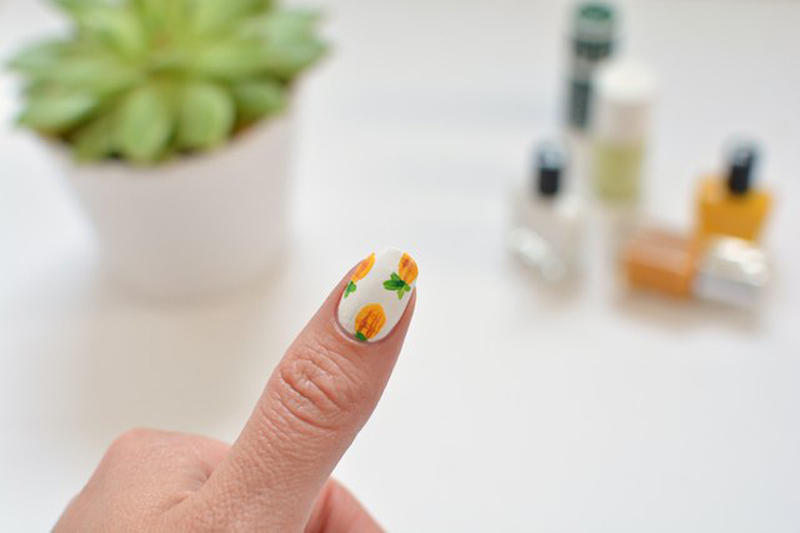 Dip a fine brush into green nail polish and brush on 3–4 light strokes to create the spiky pineapple leaves. Repeat on all nails to finish! Now all thats needed is a fruity cocktail and a little sunshine!